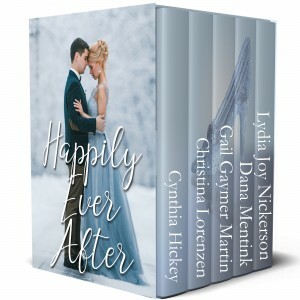 If you loved my novellas, check out these collections where you will find my story in good company with several other stories by awesome authors. All collections are ebooks and are available exclusively through Amazon. Enjoy! 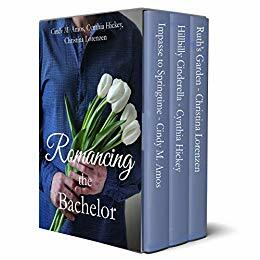 Romancing the Bachelor – Aloof yet alluring, these modern men are waiting for their chance at love, and this collection features three absolute keepers! Three novellas give romance a fighting chance, despite the odds. Take a look at love-in-the-making with this contemporary inspirational fiction collection! Home builder Kirk Anders takes on more than he bargains for constructing outbuildings for down-to-earth Happy Lehman’s nonprofit fundraiser. For one thing—he doesn’t know anything about building she sheds, and his blind spot for romance makes for a true impasse—up until the springtime thaw. Lance Moore eyes country beauty Cindy Lou Hopkins as a diamond-in-the-rough he’d like to know better. She regards him from a distance as a prince she’s not a worthy match for. One wondrous night together at his barn dance may reroute their future paths—if they dare to believe in happily ever after. Sometimes the soulful eyes and playful nature of a dog can make romance bloom. 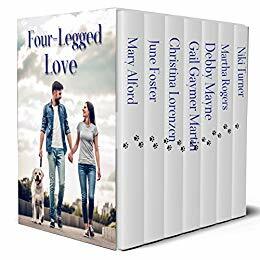 In these contemporary romances, a four-legged friend ignites love. In just a matter of days, Addie Mayfield’s life is upended. Through an arrangement her father makes, she sets sail on the RMS Titanic as governess to the two young Fairchild children. When tragedy strikes, she finds herself rescued alongside strangers on the RMS Carpathia, headed for New York City. Far from home, she is taken in by the O’Reilly family to wait for her family to send for her. With no money for her passage home, she’s brought to the small hamlet of Montauk to become a caretaker for a great aunt she has never met. And this Rapunzel wants nothing to do with being neighborly. Until she’s forced to save him during a storm. 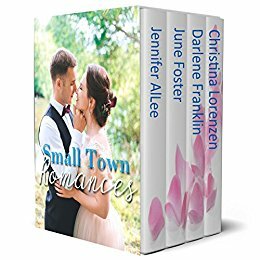 Blindsided by a broken engagement, Jacy Penna hastily throws an overnight bag together and leaves New York City, heading to the place that never changes – her grandmother’s house in the small town of Marion, Massachusetts. But in her haste she forgot about Zach Silva, the local boy that broke her heart when she was fifteen years old. Hoping to spend some time reliving sweet memories of summers past with her grandmother, Jacy is blindsided again when she finds out her grandmother has sold the house – to Zach Silva’s family. Determined to avoid running into Zach during her short visit, Jacy soon finds out that while nothing stays the same, love endures. Contemporary romances where men were princes and women were the princesses who loved them. Visiting her ailing grandmother in the fairytale-like German town, Lucy Blair plans to be a caregiver during her grandma’s illness and attend the world-renowned theater production of the Passion of Christ. What Lucy did not plan was to run into her old college boyfriend, Ron Woodson, who is in Germany to learn woodcarving for his furniture making business. Will their meeting rekindle the old flame or will the past smother the new spark? Elise has lived a pretty charmed life. She has a loving family, minus one mom, but six brothers who treat her with love and affection. When one person turns her whole world upside down. 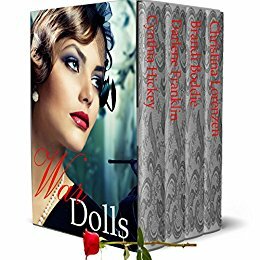 Her stepmother has decided to take matters into her own hands and makes Elise’s brothers believe they are swans after she sends Elise to boarding school! When she finally meets up with her brothers again she must figure out a way to erase the hypnosis making them crazy. Along with her friend Jacob will she find a way to save her family? Or will it be ripped asunder? After the devastating loss of her husband, Whitney Poulten faces the future head-on. Rather than give in to grief, she’s determined to focus on what’s still good in her life: Her family, her faith, and her unborn child. Things are under control, until her brother-in-law shows up. When Doug Poulten left home to make his mark in the world of thoroughbred racing, he didn’t say goodbye and he didn’t look back. But a personal loss makes him rethink what’s really important. He returns home to Montana, hoping to make amends with his family and prove he’s not the black sheep they think he is. When he learns his brother is dead, his attention turns to taking care of his sister-in-law, Whitney. The last thing either of them expects is for brotherly love to turn into something deeper. When Pastor Zackary Lawrence lost his wife and unborn child, he couldn’t find the motivation to effectively pastor his church in Oak Mountain, Alabama. Now, six months later, the congregation has dwindled to less than a handful, and the bank forecloses on the building. Desperate, he takes a job at the local hardware store and reluctantly moves in with his parents. Though Ella Russell has secretly been in love with Zack since high school, her hopes were shredded when he returned from seminary with a wife. Trying to forget the only guy she’s ever loved, she throws herself into her profession as a high school counselor. VERITY CLARK DESERVES A SECOND CHANCE The struggling single mom is doing her best to raise her three kids. But when her eldest son is caught skipping school, she needs help. Thankfully, truant officer Garrett Sawtelle is on her side. Soon Verity is turning more and more to the caring educator, who’s awakening tender feelings she can’t afford to act on. Garrett wants to make a difference. He knows it’s against the rules to get too close to the families he counsels. But the spunky widow and her children are fast becoming part of this bachelor’s dreams for the future. Can he convince Verity that, together, they can build something real and lasting? Brody Porter was burned by his estranged wife, Carrie Ann, a struggling actress, who came into his life during a lull in her career and then left him alone to raise their daughter, four year old Cami. He’s vowed never to play the knight in shining armor again. His only interest in Tacy Clark is making sure she gets those apples harvested for the town’s annual festival. Without that harvest, the festival might not raise enough funds for the church preschool. Without a place for Cami to go every day he won’t be able to put the time he needs into his livelihood, his coffee shop, Brews & Bites. While America’s men were fighting in the second World War, the women back home were keeping things together and waiting with love in their hearts for the men to return. 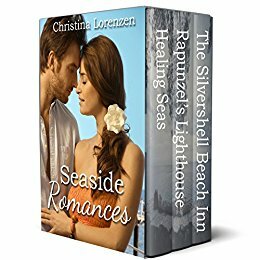 Enjoy these four romances that take place during this time in our history. Betrayed by her soldier fiancé, Betsy takes a job as a Harvey Girl waitress and vows to steer clear of military romance. But soon she’s falling for her army pen pal, Dr. Spencer Gregory. When a wounded Spencer returns home and rebuffs her friendship and love, Betsy’s deepest fears come true. Though he’s a decorated soldier, Spencer sees himself as a burden—one he won’t saddle Betsy with. But keeping her at arm’s length is no longer an option when Betsy’s former fiancé shows up eager to win her back. If their romance is to survive the war, Spencer must set aside his pride and win her heart. As the newly elected mayor of Maple Notch, the war widow must lead her town through the dark days of World War II. But where she finds comfort in tradition, the town council insists on trying new ways of handling the homefront challenges. Her most untraditional opponent? Councilman Ralph Quincy. High school principal Ralph never expected to become a friend to Clarinda and her family. But as she spars with him over the war effort, the smart, spirited mayor is the most compelling woman he’s ever known. Can they put aside their differences and fight for both their town and a future together? When Elsa finds an old snow globe in the attic of the New York City mansion where she works as a cook’s assistant, she is magically transported to the quaint Snow Globe Village where she meets the long lost grandson of her employer and is offered a chance to become a baker and his wife… Will Grant convince her to stay in the Snow Globe Village or will she turn the snow globe upside down and take them both back to a place where it would be impossible for them to share a life of love? When a vintage snow globe sends Boston dress designer Louise Martin and British B&B owner George Walker back in time to London, December 1940, they race against the clock to reconcile a feud between their families and solve a 75-year-old mystery. As Louise relies on George for guidance, friendship then love, will the future he envisions strangle her own dreams? Will their relationship survive generations of mistrust, the Blitz and the possibility of being stranded in wartime 1940, never to return to their former lives? 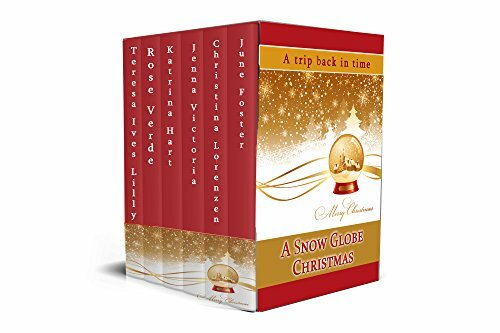 When a wish comes true… Debbie Regan finally gets to enjoy Christmas in a snow globe world like the one she always dreamed of. Only the Christmas shop owner, Preston Campbell stands in her way. But she hasn’t come this far to let go of the dream. Preston is biding his time until his mom’s shop sells and he can move on… Except the Yuletide is bearing down on him with no buyer in sight. He is forced to hire vivacious Debbie Regan to help for the season. Both of them find themselves wanting things they had never let themselves desire before. Emily Eason wants to distance herself from her parents’ opulent lifestyle in Birmingham, Alabama, and enjoy life in the tiny rural village, Raccoon Creek and her fifties-style home. But after gazing into the little snow globe she purchased from Hardwicke’s Drugs and Gifts, she finds herself transported to another time—her grandmother’s era. Lance Hardwicke is the pharmacist and owner of Hardwicke’s Drugs. Four years of pharmacy school didn’t allow for much of a social life. Gorgeous Emily Eason, nurse and resident of Raccoon Creek, has captured his attention more than once. The next time she comes in the store, he’s determined to ask her out. Perhaps go to Birmingham to see the Christmas lights in his brand new orange and white ’53 Pontiac Pathfinder. Can love span the fifty-year gap standing between them? Bookkeeper Mollie Wright knows about living on the streets, and her purchase of sweet Lilac Cottage is a dream come true. She is determined to stay and fight when a legal error puts her ownership at risk. Katherine O’Connor is in dire straits and the only thing she can think of to do is apply for a job as a caddy. The only problem is…women aren’t yet allowed to play golf in America. She cuts her hair, dons boy clothing and gets the job. She didn’t plan on falling for her handsome boss. Once her identity is revealed, complications of her deception seem overwhelming. Bradford Woodward knows something is suspicious about the frail young man in his employ, but since his brother hired the caddy, he’ll honor the boy’s employment and try to find something the boy knows how to do. When “Kevin” asks to play in a promotional golf tournament, Brad doesn’t see the harm in it. What transpires next turns his world upside down and makes him question everything he thought to be real. Can these two repair a relationship formed under false pretenses? April Roberts is twenty-year-old Ballerina trying to make a living in 1983 New York City. Times are hard for everyone and April is no different. Between the harshness in the underground world of Ballet, the cattiness of the women she works with, and the drug craze popping up in the city, the odds are stacked against her. There is hope, one thing that can make or break her, a dance competition. If she wins, first prize is a trip to France to study with the masters of her dance. If she doesn’t, she will be stuck in the Bohemian Hell that is New York City. Along the way she meets Luke, a wannabe Filmmaker who literally bumps into her world, his best friend Dodger, an almost famous Rock Star, and her enigmatic landlord Sammy. Which man will win her heart and dance her Forbidden Dance?